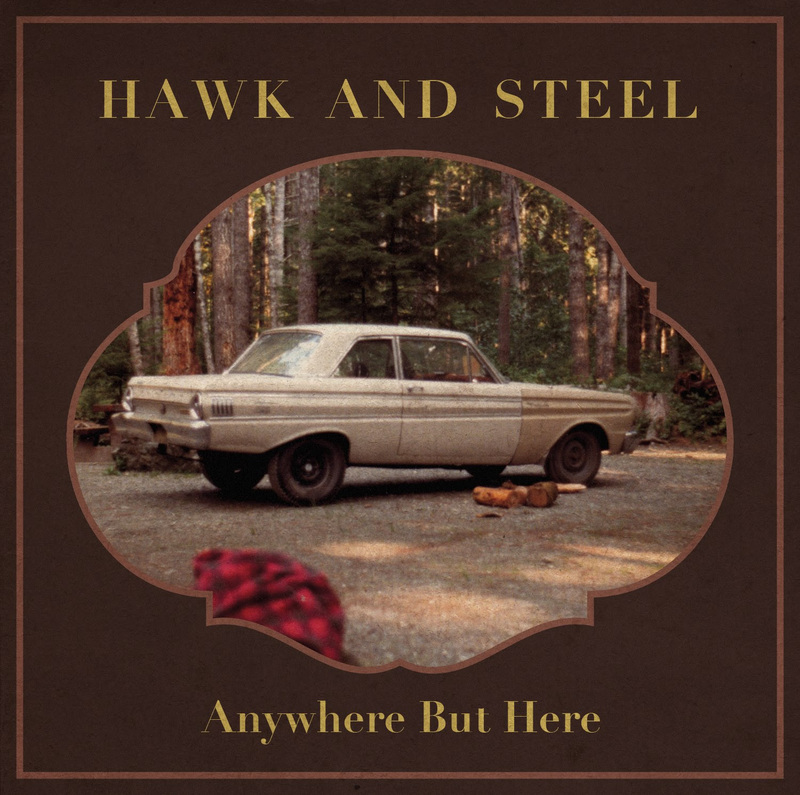 Hawk and Steel pitches their sophomore album, Anywhere But Here, as thirteen songs “about people that intuitively know they fit in somewhere, but it’s not wherever they’re at now.” The same could be said about the band—Victoria natives who find they’re too country for the city’s latest fad, but pegged as very West Coast when they head inland to Canada’s country home. Living up to its title, Anywhere But Here is primarily—in all its alt-rock, alt-country, alt-everything—a collective of songs looking for the one place that will take them in as they are, regardless of all the suffixes. And while plenty of the tracks expose lead Peter Gardner taste for country, from a muted twang to bursts of raw emotion that defy indie’s whimsical pull, the final result reveals Gardner and members Ian Johnson, Rob Walsh, and Marshall Wildman have blended their interests together to build the songs up beyond that. “David and Kate,” itself a bank robbing ballad, and “Spectre,” with the squeal of steel strings and a swaying beat, are hard to describe as anything other than straight up country with one eye on the past. But then a number like the truncated “Victoria” comes along and Gardner slowly sheds his twang and the melodies shift the song’s direction—mirroring the back-and-forth tension in the lyrics. Meanwhile Julia Knight’s delicate voice on “Fire In The Wind” forces its own change of pace for three aching minutes, subtly bringing out some of the most heartbreaking imagery of the album as she gently steers things in a more folk direction. While the song stands as the biggest shift for the band, it also marks a high point for them lyrically, casting them partially adrift from the ballad’s most literal elements and crafting a more emotional punch by using less. Towards the end, “Spinning Wheel” and “Why Did You Go?” provide Gardner with the opportunity to finally reveal what a capable vocalist he his, single-handedly infusing the songs with rare feeling even as the lyrics never quite climb back to the earlier peak. Either song would make for a strong close, but it’s the record’s five-minute “Siblings” that arches and crashes through the final minutes, ramping up the vocals one last time before ending in a hail of notes that seem destined to add alt-rock to the bands list of denominations. And yet, while Anywhere But Here can feel like an album in search of a home, by those final minutes it’s not entirely clear it needs one. It already “intuitively knows” what it is—whether we can find a label for it or not—and the overwhelming sense coming from those searching songs is that’s all that should matter.